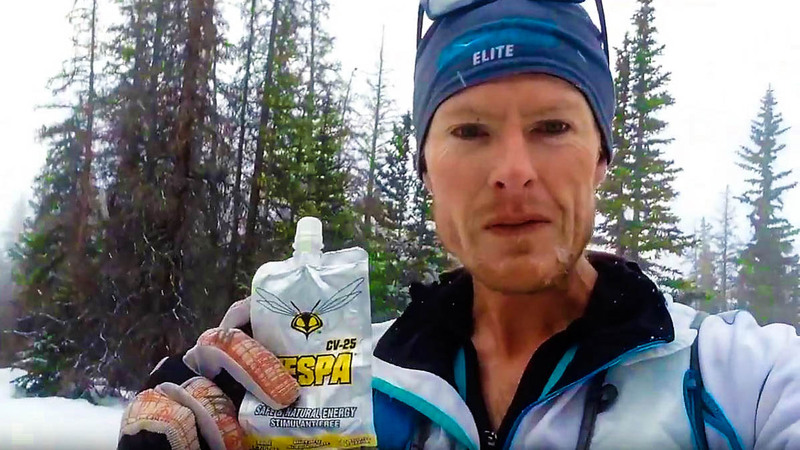 VESPA Ultra-Concentrate is a "must have" for the serious endurance athlete or as an ultra-compact energy source for backcountry hikers and runners where space and weight are at a premium. Extensively field tested over the past 3 years, each pouch of VESPA ULTRA-CONCENTRATE packs a potent 175mg of the naturally-occurring, bio-active VESPA peptide in an ultra-compact package measuring 9cm x 4cm and weighing under 11 grams! Contains the same synergistic formulation found in the VESPA CV-25 without the water but with an extra 75mg of wasp extract. VESPA Ultra-Concentrate is a "must have" for the serious endurance athlete or as an ultra-compact energy source for back country hikers and runners where space and weight are at a premium. Extensively field tested over the past 3 years, each pouch of VESPA ULTRA-CONCENTRATE packs a potent 175mg of the naturally-occurring, bio-active VESPA peptide in an ultra-compact package measuring 9cm x 4cm and weighing under 11 grams! Contains the same synergistic formulation found in the VESPA CV-25 without the water but with an extra 75mg of wasp extract. Recommended for experienced VESPA users wanting an even stronger version of their favorite supplement in a super portable, light weight package that can be diluted with water. Not recommended for first time VESPA users. VESPA's unique formula: a highly bio-available wasp extract amino acid complex, synergistically blended with bee propolis and royal jelly (potent anti-oxidants) is all-natural, caffeine and ephedrine/ephedra free, and safe and legal for all sporting events.